Clif Walker is an adjudicator, clinician, arranger, and composer with original works performed at PASIC,The Midwest Band and Orchestra Clinic, DCI, BOA WGI and numerous State Music Conventions. He is the Director of the Marching Mizzou Drumline at the University of Missouri, and on staff with the 2017 WGI PIA Gold Medalist “Modulation Z”. He was the percussion arranger, design team member and Director of Percussion at BOA Grand National Finalist Blue Springs High School (2011-2015), former front ensemble arranger for 9-time WGI PIW Championship Finalist Gateway Indoor and former caption head/arranger for Southwind Drum and Bugle Corps. 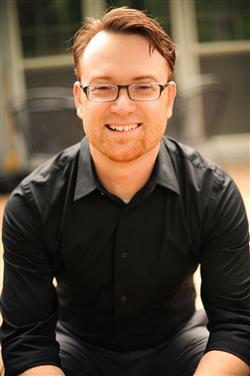 Clif was also the co-founder and former director/arranger for WGI PIW Timber Creek Independent (2008-2010). He is currently a design consultant/arranger for many scholastic and independent programs across the US, including Odyssey Indoor Percussion from Southern California. Clif judges regularly for IPA, MEPA, GIPA, MCCGA, RMPA and HWAA and holds a BSE from Missouri Western State University and an MME from the University of Central Florida where he was arranger/instructor 2009-2011 with the UCF Marching Knights. He is a former member and instructor with the Madison Scouts Drum and Bugle Corps. Clif is proud to endorse Yamaha Musical Instruments, Remo Drumheads, Sabian Cymbals, Innovative Percussion Sticks and Mallets and Beetle Percussion.